Our Bonifay & Graceville offices have returned to normal operating hours. They are open from 8-5, Monday through Friday. Bonifay will be handling new services, disconnects & reconnects for repairs, payments, etc. 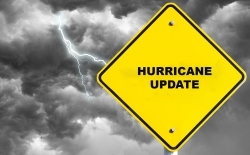 The Graceville office will be handling reconnects & disconnects for repairs & payments at this time. The Sneads office remains closed due to damage to the building.